Shrimps are probably the most widely known creatures living in the ocean. This marine crustacean is found all over the world and is a delicacy in many cultures. While they are relatively small in size, they are jam packed with nutrition and have many health benefits. If you’re a fan of shrimp and are cautious about what you eat, you might want to find out about the number of calories in boiled shrimp and the best way to prepare them. The number of calories in boiled shrimp is determined by how you prepare it and the portions you eat. Larger portions often mean more calories, and frying often yields more calories than any other cooking method. Here is a breakdown of what you can expect. The same applies for calories in steamed shrimp. 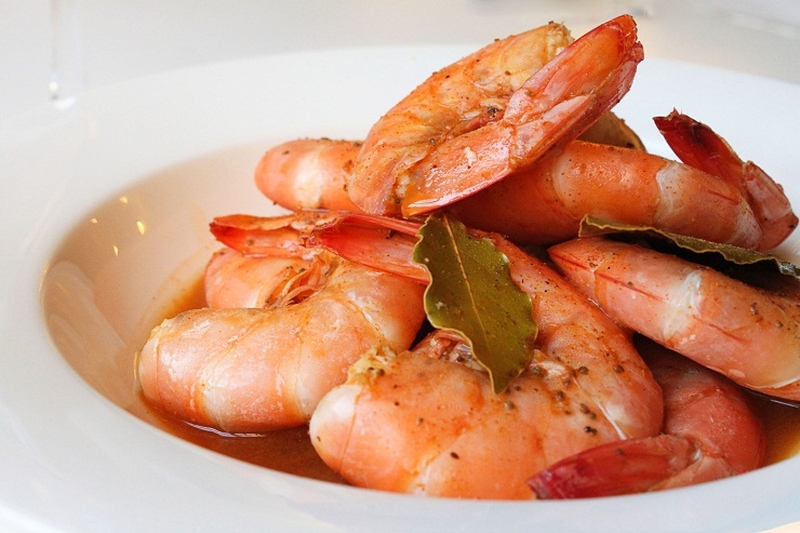 Besides calories, there is other nutrition in boiled shrimp that are great for us. Below you will find the detailed information about it. The amount of vitamin A can meet the need of 4% daily value. The amount of vitamin C can meet the need of 4% daily value. The amount of calcium can meet the need of 5% daily value. The amount of iron can meet the need of 13% of daily value. Shrimp cooks very quickly. The key to making them delicious is to take them out before they turn rubbery. The shrimp should be ready in about 5 minutes. Serve it with a cocktail sauce of your choice and make any suitable accompaniment. Prepare the shrimp by peeling off the shell. Place the shells in a pan and add the black pepper, bay leaf and garlic salt. Add water and bring to a boil. After the water has boiled, add the peeled shrimp and let it simmer until it turns pink. This should take about 3 minutes. Drain the cooked shrimp and transfer it to a cold bowl to stop the cooking process. The few calories in boiled shrimp make it the perfect meal if you want to lose weight. It has lots of great nutrients needed by your body to maintain body function. It is also rich in antioxidants such as astaxanthin, which can help fight cancer. Nevertheless, eating shrimp is not all rosy. Here are some of the health risks you should be aware of. As it is with many other sea foods, shrimp contains traces of mercury. Mercury poisoning can be fatal if not dealt with. It can also lead to vision problems and fetal complications. It is highly unlikely that you might eat enough shrimp to cause mercury poisoning, but you should control the amounts you consume. Purines are a naturally occurring element that is necessary for your well-being. Nevertheless, excessive levels of purines can cause health complications. This is especially so if you have a disease such as gout. Shrimps are packed with purines and may be an issue under some conditions. Shrimp can cause allergic reactions in some people. If you react to various types of sea food, you should watch out for any signs of allergy after eating shrimp. Steer clear if you get a reaction. Server responsed at: 04/19/2019 5:07 a.m.